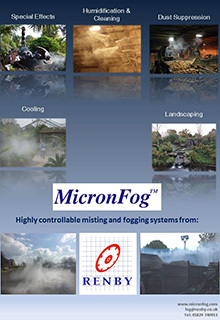 From a single base unit, Micronfog™ dust suppression misting systems deliver fog precisely where you want it, to do exactly what you need it to do, whether on a large or small scale, inside or outdoors. 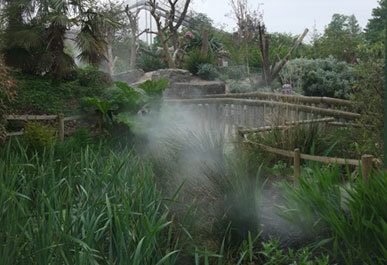 Our dust suppression misting systems are customisable, technologically advanced, versatile and energy efficient. 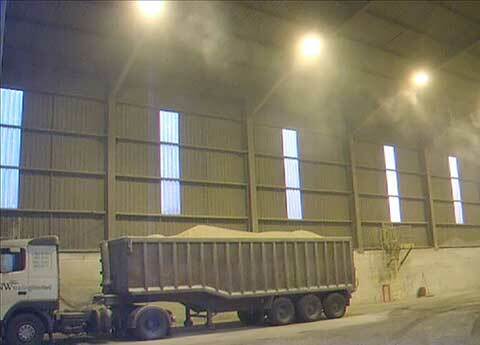 We’re passionate about health, safety and sustainability, which is why we’re continually developing MicronFog™. Our systems aren’t solely used for suppressing dust: they’re used in a very broad range of applications, and every year we’re excited to discover more ways that fog can be used. 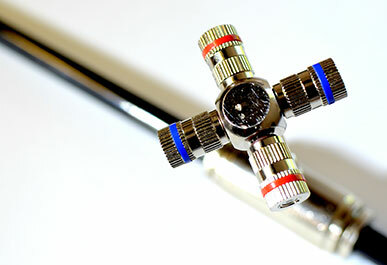 Currently, our dust suppression misting systems are used in a wide number of different industries. 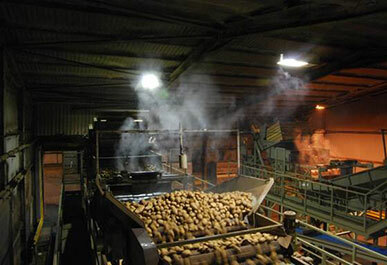 Recent projects included controlling the dust in a potato grading and packing facility and a power station wood pellet storage area. 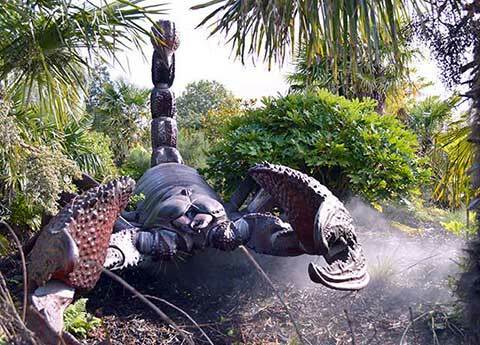 Special Effects - Chester Zoo. Chemical Delivery – Disinfecting Cheese production area. Humidification – Specialist Mushroom grower. 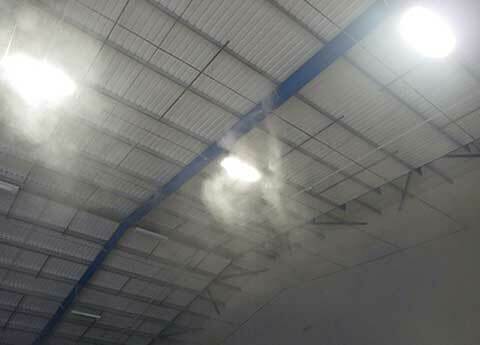 Call us Now on:- 01829 740913 to discuss your fogging application. Compared to alternative methods such as dust extraction or collection, suppressing dust with fog can be done at a fraction of the price. Capital cost, running costs and power consumption are all significantly lower than power-hungry extraction or collection machines. 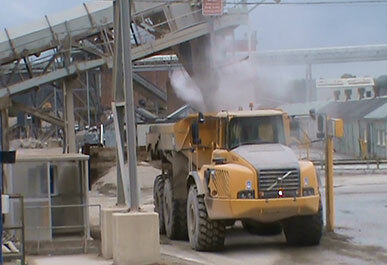 MicronFog™ dust suppression misting systems emit fine controllable fog, which suppresses airborne dust without wetting. This protects your staff against dust–related respiratory conditions such as silicosis and COPD. The microscopic water droplets agglomerate dust, forcing it to fall from the air. Our systems have been used by Sculptors and artists, both as a backdrop to an exhibition or as part of the exhibit itself.